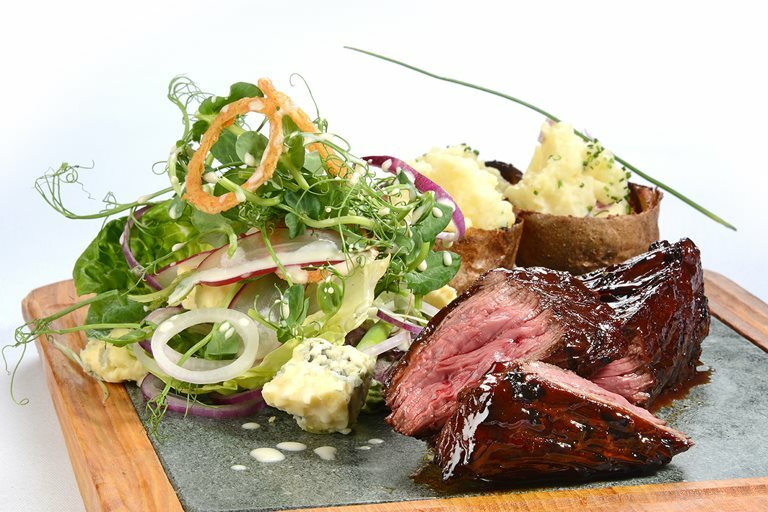 Charred steak on the barbecue is a summer essential, and Lisa Allen takes it to another level with the addition of crispy potato skins stuffed with fluffy mash and an indulgent blue cheese dressing for the crunchy salad. Hanger steak, often known as onglet, is a slightly lesser-known cut but full of flavour. Go for good quality organic meat to get the most out of this summer feast.